In 2010, Brendan Burke, an up and coming goalie was on his way to being one of many young men who enjoyed the mixed bag of advantages and challenges that go with being part of a hockey family legacy. His father, Brian Burke, is the GM of the Toronto Maple Leafs and an integral part of Team USA. His brother Patrick would eventually begin to carve out a career on the other side of the dasherboards. Young Brendan was in a position to have a charmed life as the first Gay and out hockey professional when his life was cut short by an auto accident. Brendan’s father and brother remained determined to keep Brendan’s dream alive by working for improved conditions for LGBT athletes. 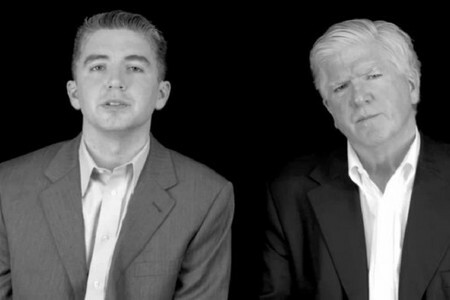 Brian Burke continues to be an outspoken advocate. 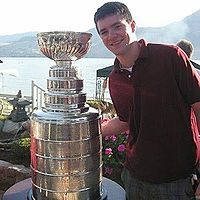 Patrick Burke, now a scout for the Philadelphia Flyers, became a founding partner of the You Can Play Project. Along with sports marketing executive Brian Kitts and G-Force hockey founder Glenn Witman, they created a program designed that does not stop at mere tolerance in sharing the court, the ice, the pitch and the locker room. The message is one of acceptance and respect. “If you can play, You Can Play!” The tagline is repeated over and over on the viral videos that have circulated the internet via Twitter, YouTube, Google+ and Facebook. It is a mantra that bears repeating, not just to the people who might be less than kind to their Gay teammates, but to LGBT athletes who might be feeling marginalised by both overt acts of homophobia and the sort of mindless anti-gay sentiment that is carelessly thrown around like so much foul verbal confetti. For Straight players who have not given it much thought, it is harmless joking that falls away without inflicting any real damage. For Gay athletes and their friends, it is no laughing matter. Words of support and acceptance mean a lot when the possible revelation of the real you is couched in fear based on witnessing demonstrations of almost mindless prejudice. Casual homophobia doesn’t help an athlete in any of these sports win and it’s time for it to stop. It’s time for us to talk about it. My work with the You Can Play Project will focus on what teams and their fans can do to shift the focus locker rooms and stands from who an athlete loves, to whether the player can help his or her team win. That means building awareness in fans that, if your fellow fans will call you out for using a racial slur during a game, I’ll call you out for using the f-word. It means building awareness in teams that getting cheap laughs by focusing the Kiss Cam on the opposing team’s bench, sends a message that unnecessarily mocks some of your paying customers, and potentially some of your players. The fact is, we don’t know who’s in the locker room next to us, or sitting in the stands behind us. And it doesn’t matter. As Kitts mentioned in his website statement, nearly everyone has a Gay relative or teammate or friend. With a projected one in ten people being born that way, there’s a good bet that even those who claim no association with someone who is gay might simply not know which of his or her nine friends is hypothetical tenth. Curious to know which heroes showed up to smile for the camera? 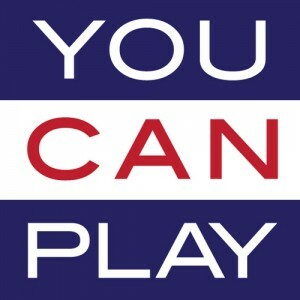 Check out the website at YouCanPlayProgram.org . While you’re there, why not sign the pledge and help spread the word? You never know when those videos might give someone just the courage they need.